Equipment such as grab rails etc can be purchased through DIY stores. Equipment to help you with daily living can be purchased through major chemists or specialist companies. For larger items of equipment or adaptations, get at least two quotes. Where appropriate check warranties, servicing and maintenance and other general after-sales back up. Try out equipment wherever possible. You may be able to obtain some equipment through an occupational therapist. See our 'Help from occupational therapists' page. 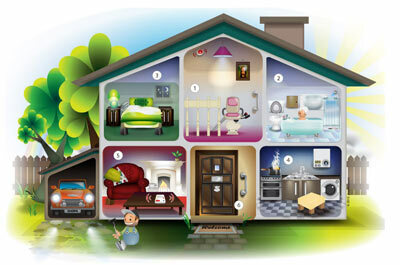 See our Managing at home section for advice about staying safe in your home, including fire safety and smoke alarms. The Disabled Living Foundation (DLF) offers independent, professional advice and information to help you find out what is available for private purchase. They have a Helpline on 0300 999 0004 where you can discuss areas of daily living you find difficult with an experienced advisor. Click on our Equipment House below to find advice and suggestions on the right equipment to help you. Telecare is a monitoring and alert system that can help to support people who wish to remain independent in their own homes and even when they are out in the community. It provides them, their carers, family and friends, with the reassurance that help is available to them in an emergency 24 hours a day seven days a week. 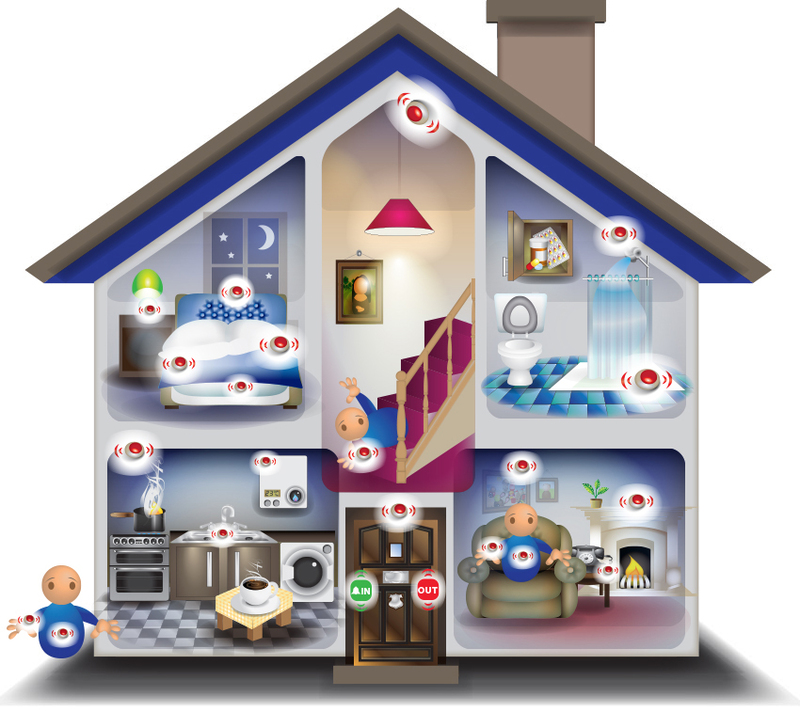 Telecare covers a wide range of equipment such as alarm systems, motion sensors and GPS location trackers which are connected to a team of fully trained advisers in a monitoring centre who will respond when an alarm is raised. Your telecare equipment is connected to your telephone system and linked to a monitoring centre by a unit with a built-in loud speaker and a microphone. All alarm units work on mains electricity and have a battery back-up. The battery will automatically cut in if the power is disconnected or fails. When the alarm is activated, either manually or via an automatic device, an adviser will speak to you through your unit. They will establish how you are and what kind of help you need before taking the appropriate action, such as contacting someone who you have assigned as your responders (a local family member, neighbour or friend) to visit and check you are alright. If necessary, the adviser will contact the emergency services. Where possible, the adviser will stay on the line with you until help arrives. Telecare equipment can help anyone who needs extra support to stay independent - older people as well as younger people with learning or physical disabilities. Watch some videos which show the range of telecare equipment, including GPS location devices and telecare working in conjunction with the Amazon Alexa. Watch a video about Oysta mobile devices with GPS tracking and panic alarms. The Disabled Living Foundation has more detailed information and advice about Personal alarm systems and telecare. Hampshire County Council may fund the provision of telecare equipment following an assessment which shows that you have an eligible need and you meet the criteria for funded telecare. The equipment will be supplied by its preferred telecare provider, Argenti. If you are purchasing privately and want quick access to care technology please go the Argenti website or call 0345 265 8003 option 2 to speak to an adviser. Packages start at £19.99 per month and include an initial assessment in your home as well as installation and training on how to use it. Watch a video about the Hampshire County Council and Argenti telecare service. Telecare provision from Portsmouth City Council. Telecare provision from Southampton City Council. AT Dementia which is managed by the charity Trent Dementia Services Development Centre and provides information on Assistive Technology that can help people with dementia live more independently.